Problem: Previous PPC campaigns were expensive and not effective. Poor planning and poor choice of keywords two main reasons for problems. Campaign Goal: To improve conversion rates, increase return on investment (ROI), and cut PPC costs. Work Done: Created a custom PPC campaign for the client. The team did research and came up with a highly focused set of keywords. After creating ads, put through sample testing to measure effectiveness. Once all items were in place, executed the first piece of the campaign and measured results. Based on this outcome, made adjustments and then executed the second piece of the campaign. Took further measurements. Outcome: The client saw over 250 percent increase in conversion rate. ROI increased over 365 percent. 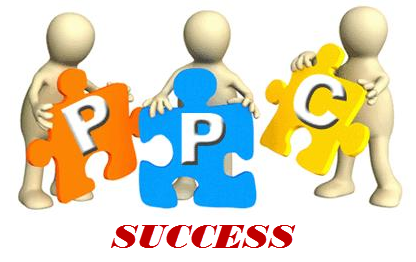 PPC costs decreased by over 68 percent. That is true PPC success. Problem: Client had been conducting PPC campaigns internally. Spending thousands on campaigns, with a decent level of visitor to lead conversions. But, the costs were too high, making the campaigns unprofitable. Campaign Goal: Reduce campaign costs while improving lead conversions. Work Done: Review of client's PPC campaigns showed a couple of problems. Ads were out of date and some were out of focus. Also, the client's list of keywords was decent, but not focused enough. The team created new ads to replace the client's older ones. Also, keyword research created a list of keywords similar in length to the original but with several differences including several long-tail keywords. Outcome: The client saw a 44 percent reduction in the cost of their PPC campaigns. For the first time, the company had a profitable PPC campaign. Problem: Client had a successful PPC effort going on in the company. However, the costs was extremely high and eating into the profit margins of the company. Campaign Goal: The client wanted to keep up the success of the previous campaigns, but cut the costs by at least 40 percent in the next eight months. Work Done: Review of client's previous campaigns highlighted some problems that we could correct immediately. However, to make the savings level the client wanted, the team had to restructure the PPC campaigns. They created smaller ad groups and ran test campaigns. They optimized the ad schedule to maximize exposure to the target audience. Outcome: The client saw a 38 percent reduction in their costs within the first two months. By the seven month mark, their savings was at 50 percent. At the end of the campaign, the savings hit 65 percent. As you can see, with a good budget and a focused campaign, you can increase your web traffic and keep your costs down. Doing a PPC campaign yourself will not give you these results. But, you can drive a great deal of traffic to your website in a short amount of time.